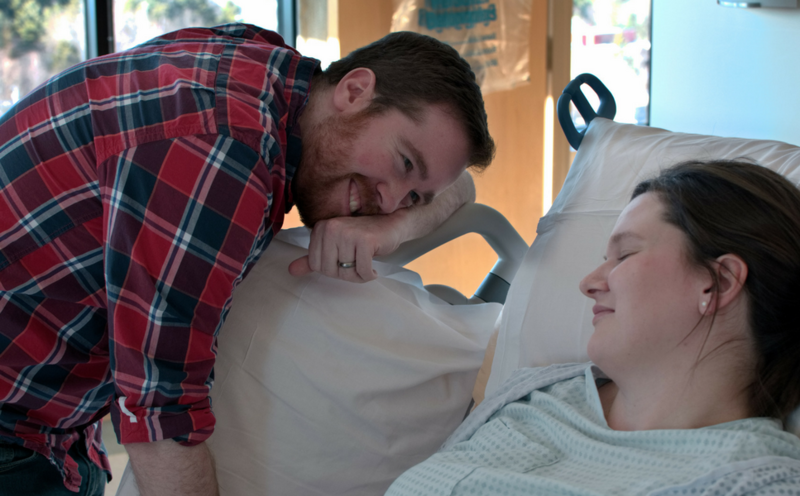 All throughout my pregnancy with Frances, I was so focused on whether she would be born alive, that I had given very little thought as to HOW she would be born. My husband, Mike, and I had talked a little bit about what that day might look like but I had made no decisions about what I wanted. I was so sure that I was going to have a complicated, dangerous birth like I had with Dorothy that I figured it would be out of my control. Walking into our room at the hospital, I was so nervous. I was overwhelmed with my ability to make decisions this time. I was actually going to be able to exercise control over my baby’s birth. Having such control was empowering and terrifying. This had the potential to be a very “normal” birth and I wasn’t good at normal anymore. However, I was good at leaning into my fear and letting it fuel me, so that’s what I did. With a deep breath, I allowed myself to trust in my ability to give birth to a living baby. I figured out pretty quickly that I wanted to be up and moving. 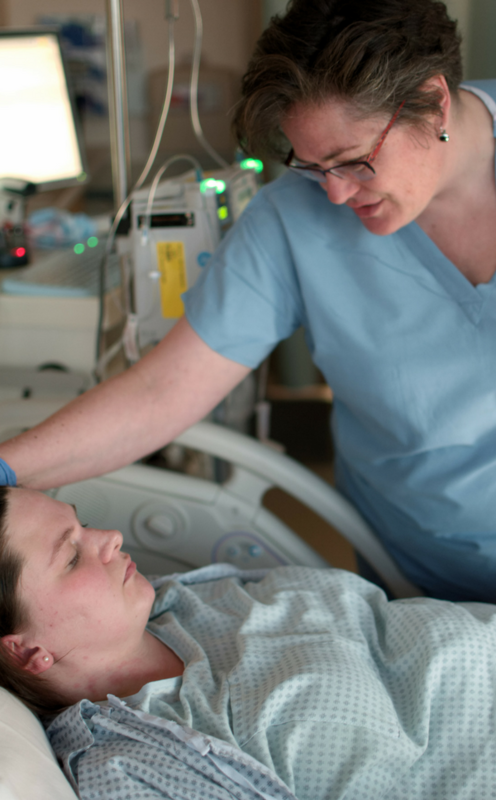 During Dorothy’s birth, I had been in the ICU and tethered down to a bed by tubes and wires–my literal lifelines. I had hated the way it had felt to be tied down. For Frances’ labor, I wanted the liberty of walking around. So, after they administered the Pitocin and they hooked me up to the portable monitor, I walked. I was the only patient on the labor and delivery floor and I took advantage of this. I paced the corridors, taking in the quiet of the Sunday afternoon lull. After a few laps, I was stopped by my nurse who told me they were having trouble reading the baby on the monitor. The resident doctor came in to discuss my options; I could stay in bed hooked up to the stationary monitor or I could have them break my water so they could attach a monitor to the baby’s scalp. The scalp monitor would allow me to be mobile. I didn’t hesitate. I couldn’t be tied down for this, so they broke my water. As my labor started up, I was met with another strong instinct. I realized that I wanted to give birth without any pain medication. For Dorothy’s birth, I was so sick and so heartbroken that I didn’t want to feel anything. I asked for anything and everything to mask the pain of childbirth. For Frances, I wanted to feel everything. Soon after my water was broken, I began to ride waves of intense back labor. 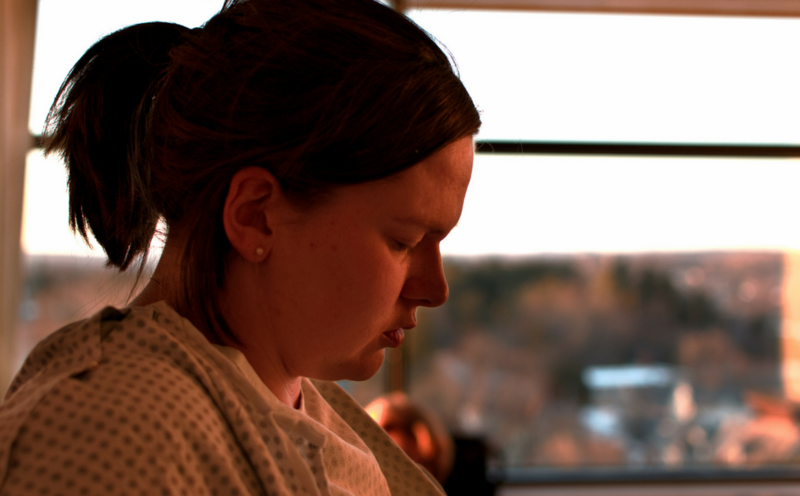 Contractions rippled across my front, but it was my back that bore the burden of childbirth. I was so grateful that I did not have to stay in bed because the only way I felt any release was when I was able to move. I sat on the birthing ball, I bent over the bed, I rocked from side to side. It turns out she was right–I did know. I can’t describe how I knew, but I just felt it. When I told them it was time, everything came to life. They whisked me to the bed and settled me in. The resident doctor came in to examine me and she confirmed what my every instinct already knew–Frances was on her way. I need to take a moment to state the obvious. Pushing out a baby is no joke. Never before, and never again, will I work that hard at something. I screamed and grunted and cried, but I also took tiny moments to be in awe of what was happening. 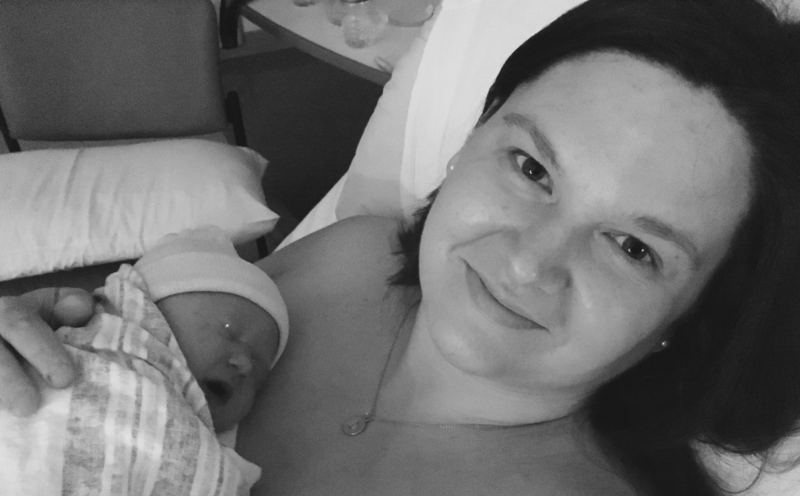 It was not my first time having a baby, but it was my first time leaning into the experience of childbirth. I was fully engaged. My heart, my mind, and my body were working in sync. 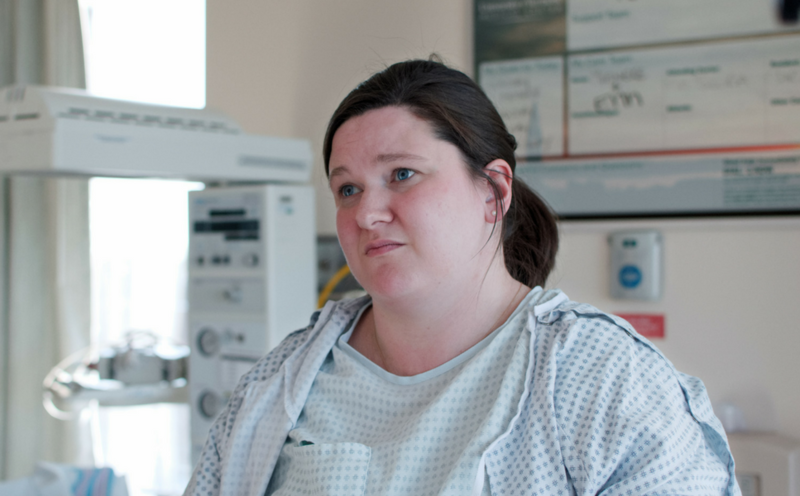 I had hated pushing with Dorothy because every push brought me closer to delivering the reality of my stillborn child. Even though I desperately had wanted to see her and hold her, if she was inside of me then I could pretend she wasn’t dead. Everything about birthing her felt so complicated and foreign. I felt detached. With Frances, every push brought me closer to a dream fulfilled. It was like nothing I had ever experienced, but it felt so innate. This was hard, and it really hurt, but I didn’t want it to stop. I was so connected to the experience of giving birth. I knew that if I kept going, I would be welcoming life. So, I kept pushing. In between pushes, I noticed the light in the room shifting. While I would push, my eyes would squeeze shut. When I opened them the room gradually went from the cool blue of the afternoon to the glowing orange of sunset. At one point, someone remarked that the sun was setting over the lake and we stopped. 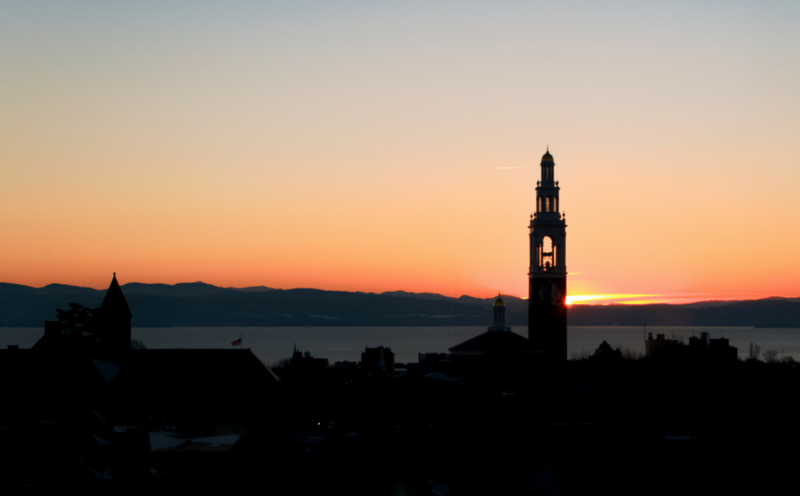 Everyone, including me, turned towards the windows where we watched the last sun of winter setting beyond beautiful Lake Champlain. At that moment, I felt this surge of energy. It was time to meet my baby. Frances Michele Whalen was born on Sunday, March 19, 2017, at 7:41 p.m. I love how she came into this world, on the cusp of everything; as the nurses changed shifts, as day turned to night, as the seasons literally changed. Because that’s who she is. She is always ready for the next phase. My baby, Frances Michele, born on the last day of winter who brought us into our spring.